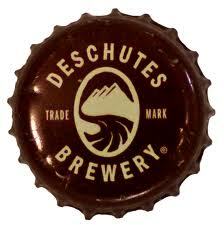 Welcome to Iowa Deschutes! For the next few weeks Deschutes Brewing (www.deschutesbrewery.com) will be all over Eastern Iowa with multiple release parties. If you are in Des Moines, Iowa City, Cedar Rapids, or North Liberty check out my link here for dates and times. I was contacted by a Deschutes Rep about the events and the possibility of attending a few and they were kind enough to send a few bottles of their beers to my place to try out. So, for the first time ever you are getting a triple beer review! Hooray! Pale Ales seem to be getting closer and closer to just being IPAs lately. With 3 Floyds Zombie Dust and Toppling Goliath pseudoSue dominating the style and our palates, anything less just seems an afterthought. Mirror Pond however, holds its own. The citrus from the cascade hops shines through and is balanced perfectly with the malts. Maybe a bit sweet, but the bitterness from the hops is a great contrast to that. At 5%, this a perfectly sessionable pale ale and with the sweetness from the malts could make for a nice transition beer for the non-hopheads. 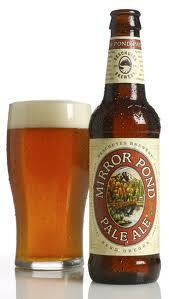 Along with the Mirror Pond this is the beer that put Deschutes on the map. A nice mix of roasted malts, coffee, chocolate. Not overally sweet, a nice balance between the bitterness and the sweetness. Maybe a bit thin on the mouthfeel, but this isn’t a stout either. A bit of tobacco on the aftertaste. 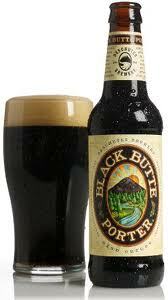 This is a great, straightforward example of a terrific porter. This is a style that I haven’t been to fond of in the past, but this beer has given me a bit of hope. Take the citrus from IPA style beers, add the Belgian yeast from your favorite hefe, white ale, or saison, put them together and you get this refreshing white IPA! Neither the hops, nor the yeast overpower you. The blend is perfectly done, which makes this another sessionable brew from Deschutes.